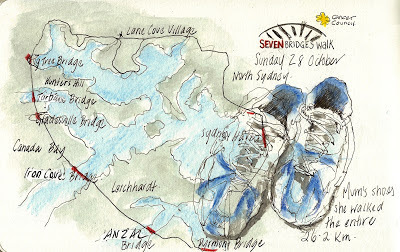 On Sunday I joined thousands of other people and took part in the Annual Seven Bridges walk around Sydne to raise money for the Cancer Council. 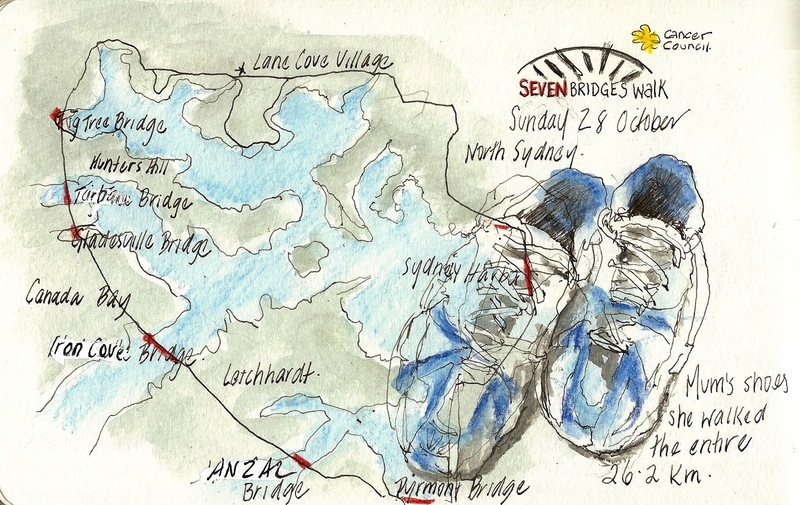 There is a set route, taking the walkers over seven Bridges in Sydney, but no fixed starting or finishing point. 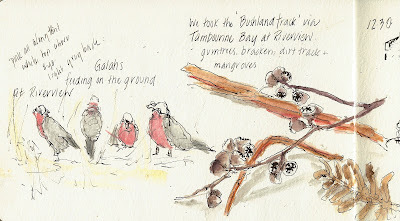 I walked half of it , and took my sketchbook, Lamy Safari Joy ink pen and watercolour pencils with me. 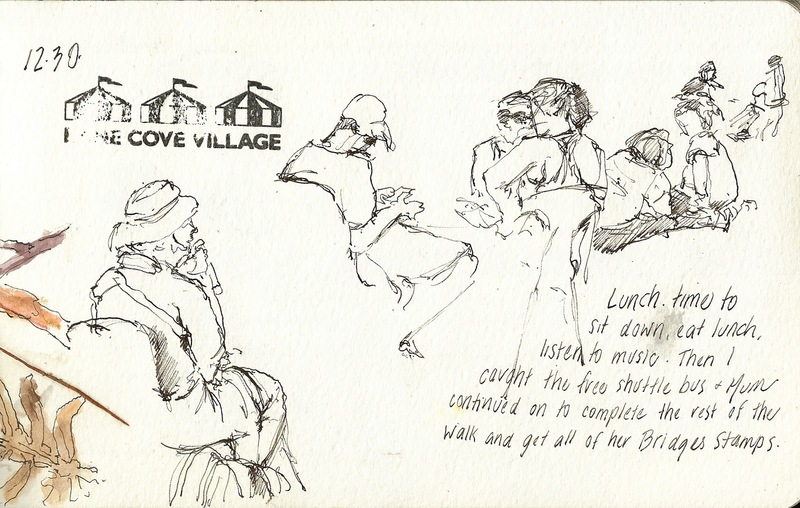 I am not sure what I had in mind, but you never know when opportunities with present themselves. 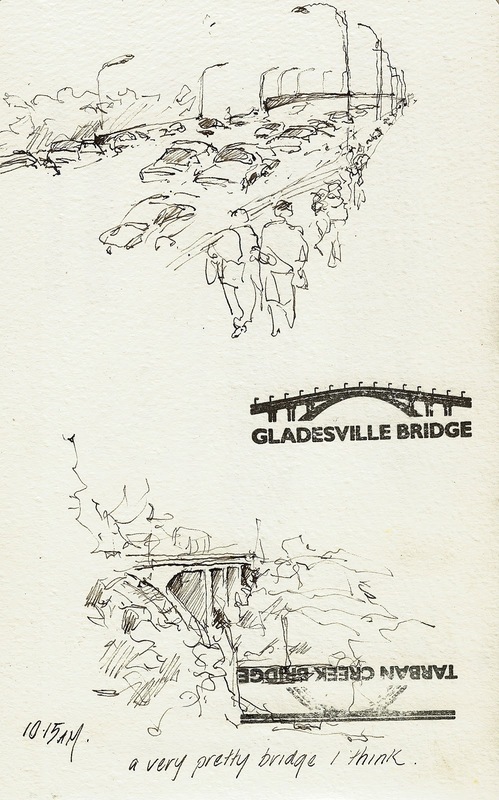 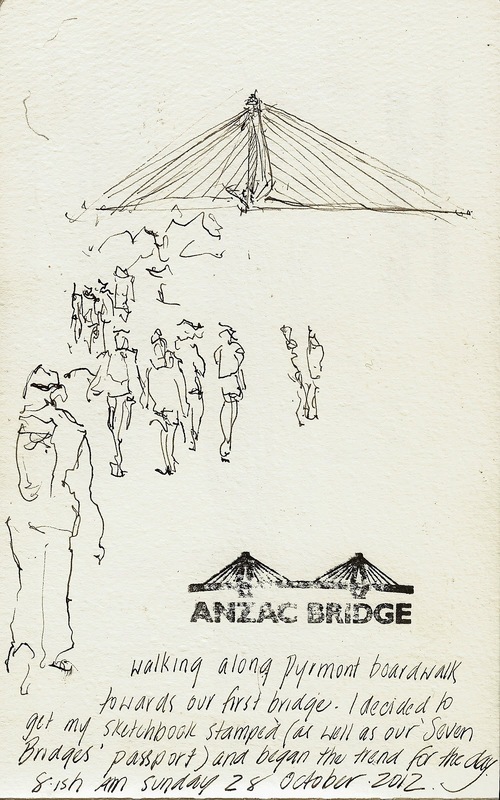 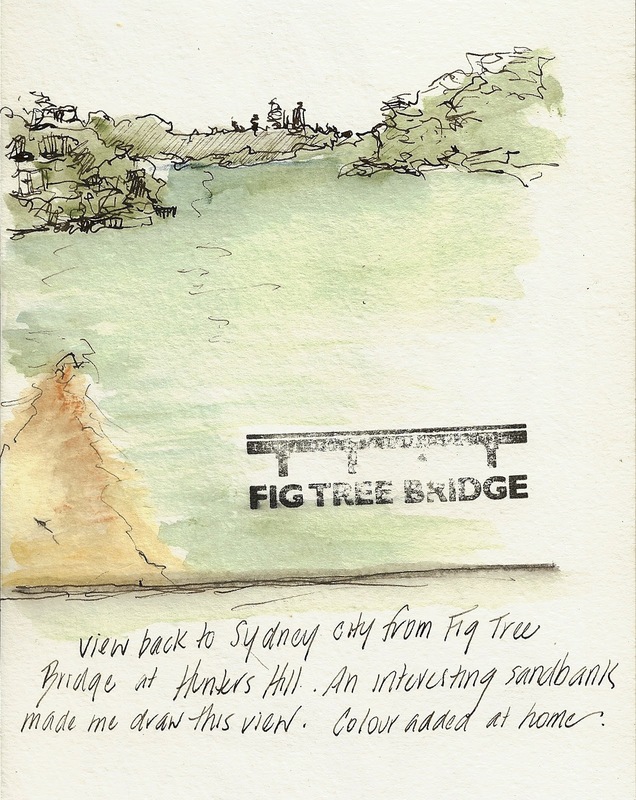 At each bridge crossing I got my sketchbook stamped with the official stamp of the day. I have included the map that I drew afterwards to give you an idea of the course. 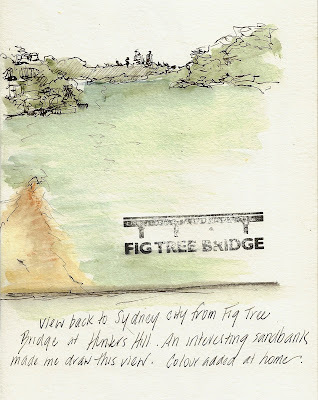 You will notice I have not drawn the iconic Sydney Harbour Bridge. This was because, in the end I walked 15 km (out of the whole 26km) . 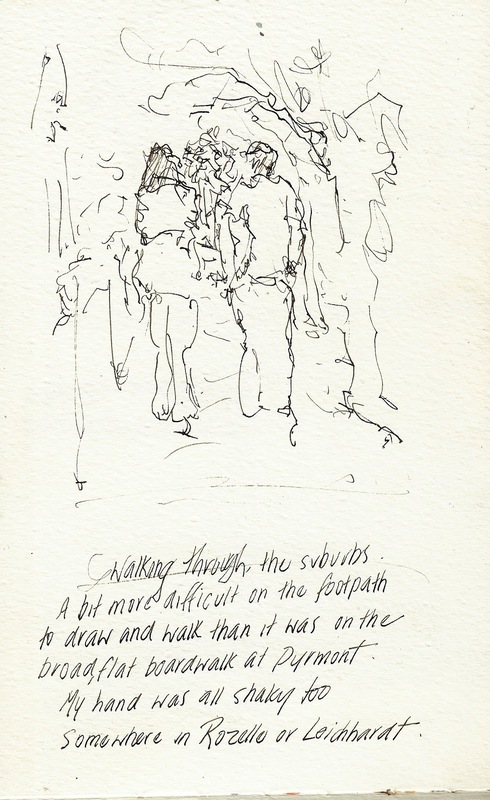 Drawing while walking is difficult. 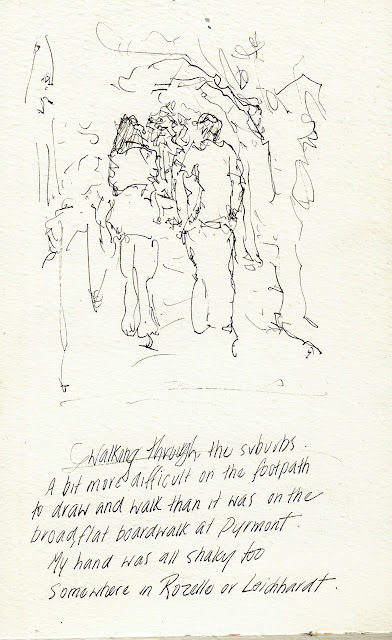 But the people were all walking at the same pace and the wharf a broad and flat.